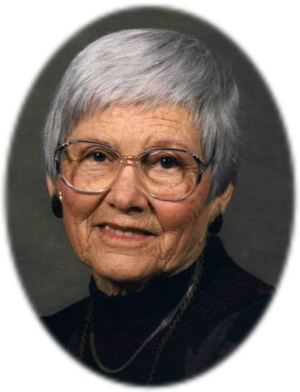 Obituary – Frueh, Edna E. (Wakeman) « Perry High School Alumni Association, Inc.
Edna E. Wakeman Frueh, 96, a lifelong Perry resident, was the daughter of Scott and Jessie Jandra Wakeman. She was born on February 25, 1913 southeast of Perry, Oklahoma and died Saturday, July 18, 2009 at the Perry Memorial Hospital. On June 3, 1933, Edna married Everett Taft Frueh in Guthrie, Oklahoma. He preceded her in death on January 2, 1978. Graveside services will be 10:00 a.m. Wednesday, July 22, 2009 at the Grace Hill Memorial Pavilion in Grace Hill Cemetery. Services are under the direction of Brown-Dugger Funeral Home. Memorials may be made to the First Presbyterian Church of Perry in care of Brown-Dugger Funeral Home, 1010 N. 7th Street, Perry, Oklahoma 73077. Edna is survived by one son, Forrest Frueh and his wife, Sue, of Norman, Oklahoma; two grandsons, Felton Frueh and his wife, Kerra, and Jason Frueh and his wife, Kim, all of Austin, Texas; one great-granddaughter, Faeryn Frueh of Austin, Texas; one sister, Opal Thompson of Perry, Oklahoma and numerous nieces and nephews. She was preceded in death by her husband, Everett T. Frueh, parents, Scott and Jessie Wakeman, two sisters, Faye Cox and Helen Richards and one brother, Clyde Wakeman.